False eyelashes can be a girls worst nightmare. They can be irritating, hard to apply and you may feel like giving up. But with the right tips & tricks, and plenty of practise they could become a dream. With some help from The Lash Store and my personal experiences (good and bad) I have put together some great tips and tricks. It can be quite overwhelming when you step into the world of false eyelashes. There are many different brands, types and styles to pick from. Everyone’s eyes are different and not all eyelashes will suit you or your occasion. Here’s a few things to think of before purchasing. You may be off to a party and want to amp up your makeup look with long statement lashes or you may be looking for something a little more natural. Pick your lashes to suit your occasion. You may get in trouble if you wear outrageous ones to school/work! False eyelashes can be made of many different materials. 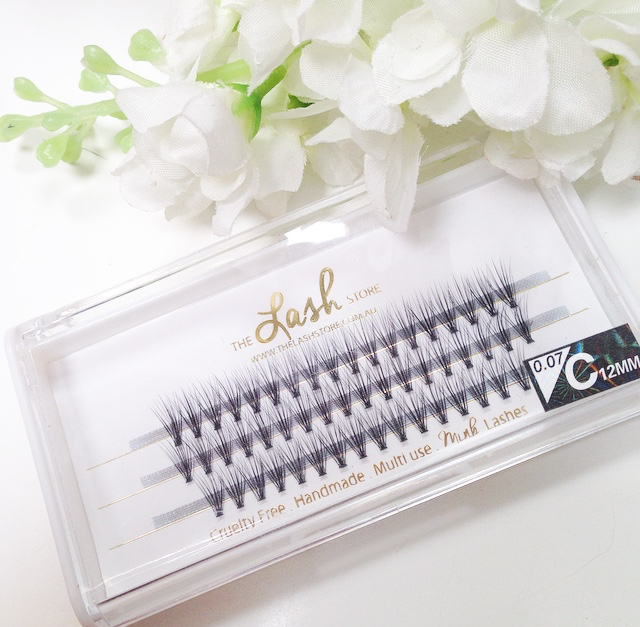 Cheaper lashes are often synthetic and are designed to be worn only a few times. Where mink lashes can be worn up to 25 times. 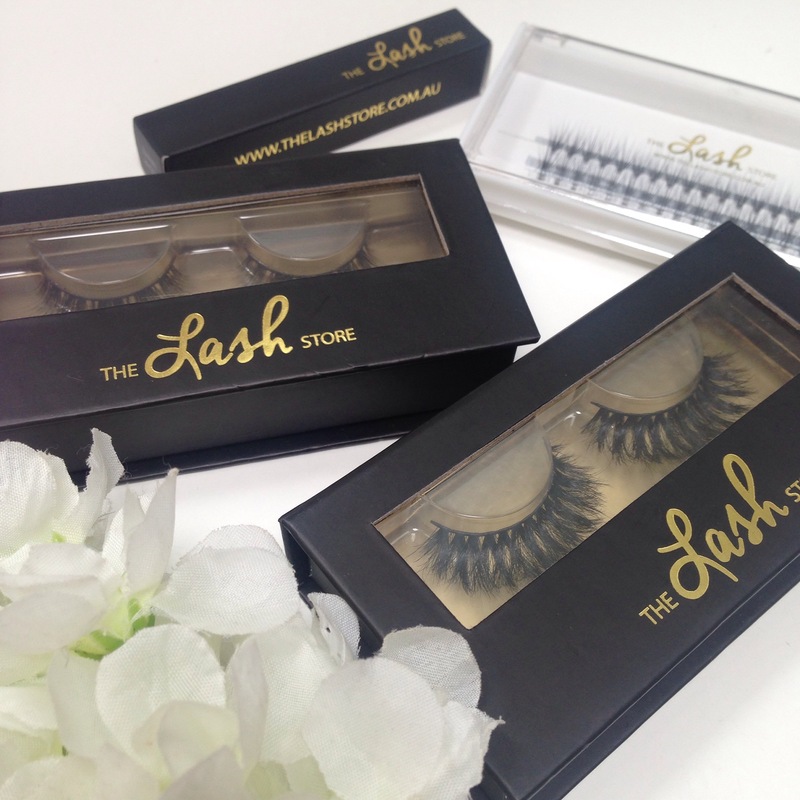 The Lash Store specialises in Mink lashes but also sells beautiful Horse Hair Lashes! 3: Will they suit my eye shape? Everyone’s eyes are unique and may suit different types of eyelashes better than others. Are yours round, hooded or deepset? Also check out your natural lashes. Are they long or short? Thick or thin? Dramatic lashes are not recommended for round, small or eyes with few natural lashes. Go on check yourself out in the mirror! 4: Do they come with glue? Not all eyelashes come with glue and those that do are often tiny and not that great. It’s best to purchase a glue seperately as it’s likely to be much better quality and last you much longer. Glues can be white, clear or even black. 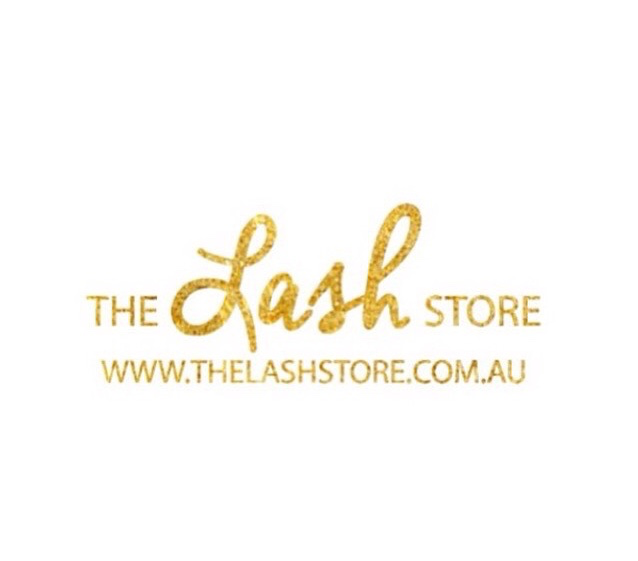 My favourite adhesive is from The Lash Store. It is irridecent White when first applied but dries clear. 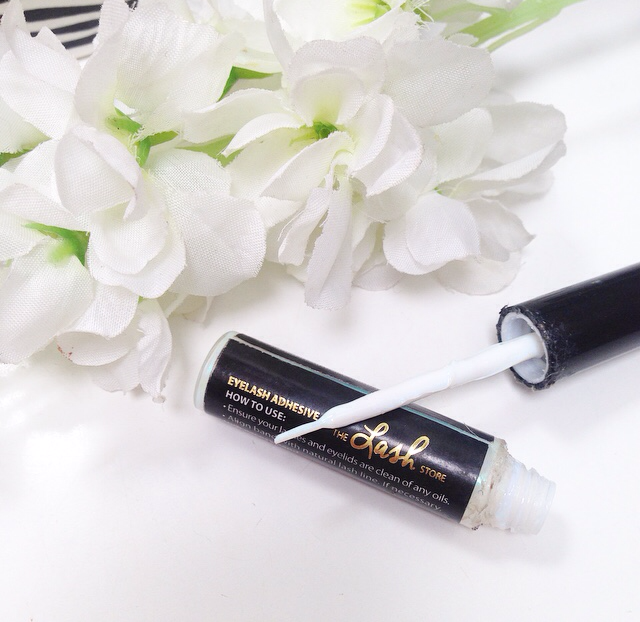 It has a brush for easy application and it’s long lasting. 5. Full, half or individual? False eyelashes can also be bought in halves or individual. These are great for a more natural look and can be easier to apply. Some people like to cut their lashes in half and apply only on the outer side to give a butterfly effect. You may be excited to apply your eyelashes straight away but there is a few things that you can do first to help with your application. Sometimes eyelashes can be too long to suit your eye shape. Trim your new lashes to fit. Take off only small sections at a time from the inner corner until they are the right length. 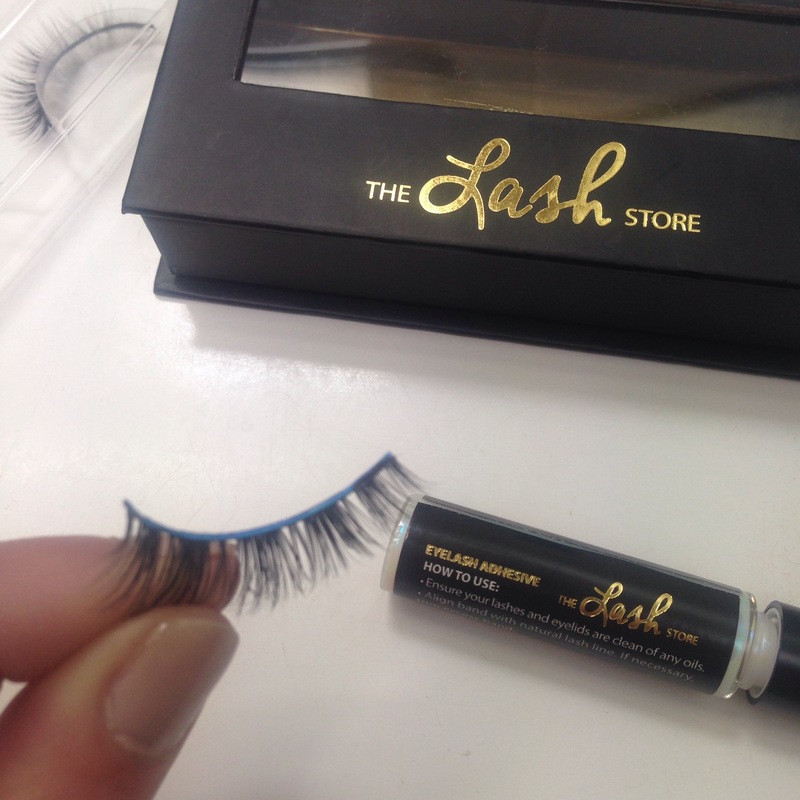 If you have larger eyes and you find the lash band too short you can add individual lashes. Now that your eyelashes are ready you must make sure your eyes are ready too. Your eyelids are one of the most oily parts of your body. To help your eyelashes stick better make sure your eyelids are clean. If you are already wearing makeup make sure that it has dried. Make sure to curl your real eyelashes before applying your false ones. 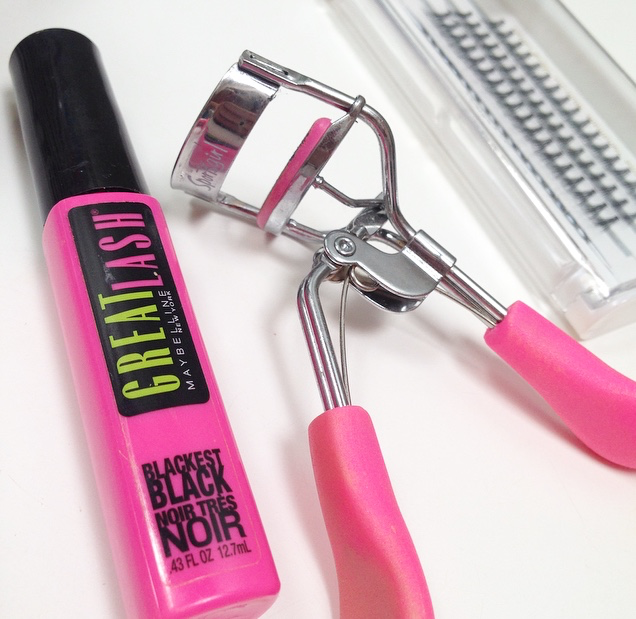 You don’t want to curl your falsies, they will either end up kinked or ripped off! It’s best to only apply one thin coat of mascara beforehand. 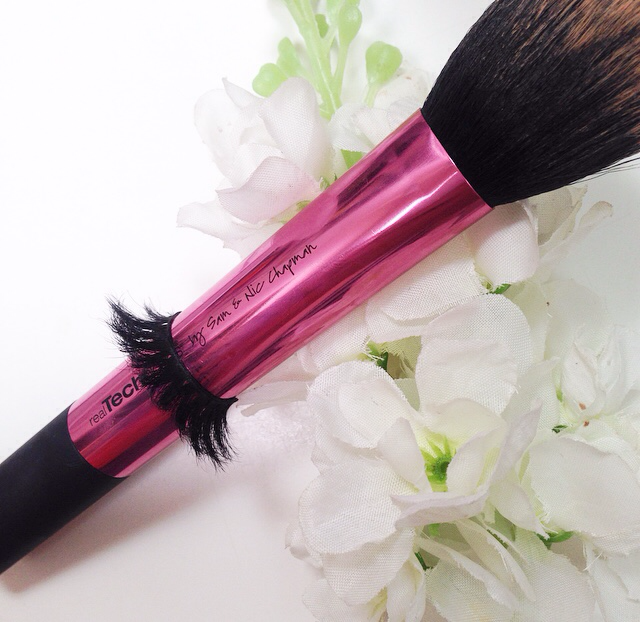 This creates a stronger base for for your falsies to sit on. Think of them like a shelf. You want your false lashes to be comfortable but also look flattering. I like to leave a small gap in the inner corners to prevent the end of the band digging in. Try to get as close to the lash line as possible. Once your false lashes are in place you can go in with a second coat of mascara if you wish. This will help blend in your natural lashes. Follow with liquid liner across top lash line to hide your lash band. It’s always a good idea to pack your lash glue if your having a long night out. Just incase your lashes come loose. Pic’s of yourself on facebook with half your lash hanging off is not cool!